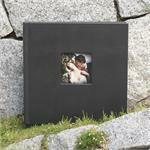 Black Cover; album size: 10x10 or 8x8; matted album; 4"x4" square opening. Mats SOLD SEPARATELY. 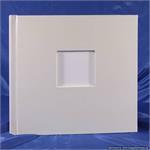 White Cover; matted album; 4"x4" square opening. Mats SOLD SEPARATELY. 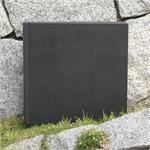 Slate Gray Cover; album size: 10x10 or 8x8; matted album; 4"x4" square opening. Mats SOLD SEPARATELY. 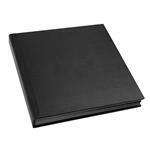 Black Cover; album size: 10x10 or 8x8; plain matted album; NO square opening. Mats SOLD SEPARATELY. 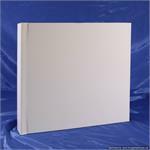 White Cover; matted album; Mats SOLD SEPARATELY. Click on the Drop Down Products Option Menu Arrows Above to Choose Color and the Number of Pages Required. 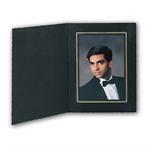 Slate Cover; matted album; Mats SOLD SEPARATELY. Click on the Drop Down Products Option Menu Arrows Above to Choose Color and the Number of Pages Required. 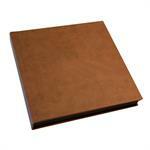 Mocha Brown Covers; matted album; 4"x4" square opening. Mats SOLD SEPARATELY. Click on the Drop Down Products Option Menu Arrows Above to Choose Color and the Number of Pages Required. Mocha Brown Cover; matted album; black pages; accommodates: 10x10, 8x10, 5x7, 5x5, 4x6, & 4x5 photos; mats are fully reversible and are SOLD SEPARATELY.